An online petition asking for Starbucks to protect employees raised an issue several businesses are worried about: used needles left in bathrooms, parks and gutters. 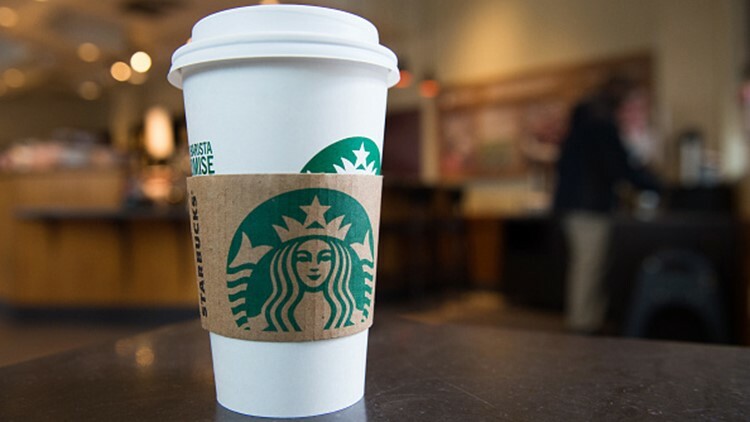 DENVER — In the midst of the opioid and heroin crisis, more than 3,000 people signed a petition asking Starbucks to help protect their employees and customers. The online petition - focused on Seattle - said employees are at risk of pricking themselves on needles as they clean out the bathrooms, potentially exposing them to diseases. The request asks the coffee giant to install safe needle disposal boxes. A Starbucks coffee cup is seen inside a Starbucks Coffee shop in Washington, DC, April 17, 2018. "These societal issues affect us all and can sometimes place our partners (employees) in scary situations, which is why we have protocols and resources in place to ensure our partners are out of harm's way. I can't emphasize enough that if our partners are ever in a position where they don't feel comfortable completing a task, they are empowered to remove themselves from the situation and alert their manager. As we always do, we are constantly evaluating our processes and listening to partner feedback of ways we can be better." Starbucks didn't mention a timeline for when or the specific stores where these boxes would be installed. The issue of drug use in bathrooms is not unique to Starbucks. It's become all too familiar for some business owners in Denver. Erika Righter runs Hope Tank on West 1st Avenue and North Broadway. She said she's seen needles by her business and in the alley. It's part of the reason she said her bathrooms are no longer open to the public. "I've personally been impacted by heroin use in my family and in my friends." Righter said. Righter said she would be in favor of a safe needle disposal box, also known as a sharps box, as long as it came with education. "Education is what's lacking the most," Righter said. "Injection use doesn't look like what people think it looks like." Deputy Director of the Denver Department of Public Health & Environment Ann Cecchine-Williams said city workers and contractors picked up 12,000 discarded syringes in the public right of way, including in streets, gutters and parks in 2017. Now, the city is getting ready to install three kiosks that look similar to a mailbox where people can drop off used needles, lancets and auto-injectors. It wouldn't be just for drugs, but people who use needles for diabetes or any other medication. Cecchine-Williams said the kiosks will be in public, but bolted to the ground with the intention that they are accessible, but those who use them would still have some privacy. "Our hope is that they would feel comfortable and safe to use those," Cecchine-Williams said. "Our hope is we will find locations that are well-lit." The city had a kiosk near Speer Boulevard and 14th Avenue that collected close to 7,000 needles since 2015. However, Cecchine-Williams said the city decided to remove it in Fall 2018. She said its location didn't provide enough accessibility and privacy and made the box difficult to empty. Because needles are discarded as hazardous material, the city hires a contractor to dispose of them. The three kiosks that will be installed in the coming months will cost $2,000 to $3,000. That money comes from the Denver Public Health & Environment enterprise fund every year. Even if businesses wanted something similar, Righter said owners aren't always sure where to turn to get help. The city said when it comes to private property, they can always reach out to the department of health for guidance, but ultimately it's the owner's responsibility. A group called the HARM Reduction Action Center offers sharps boxes for free but said not everyone is comfortable with installing them. Lisa Raville with HARM said there are several places that already have sharps boxes, including grocery stores, public libraries and the Denver International Airport.